What a neat idea for a story for young readers. 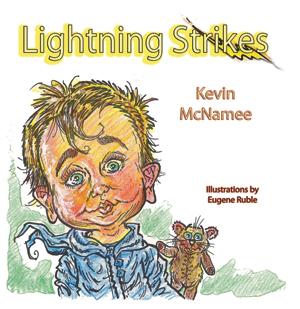 Congratulations, Kevin on your book and to the illustrator, Eugene, too. Super idea!! As a retired teacher, I can see this book as a great resource in the classroom. Kids will love it! Good luck Kevin! Thanks for stopping by, Bev and Kathy. This is an adorable book. I hope many parents and teachers check out. Kevin, what a terrific book. Congratulations, mate. I love thunder and lightning! Maybe this book will help kids appreciate it.